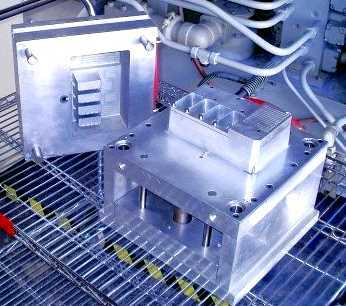 New: We also make inexpensive injection molds for start-ups and low quantity production. PowerStream Polymer Products is a Lund Instrument Engineering, Inc. Company. PowerStream Technology is in the business of helping other companies develop products. 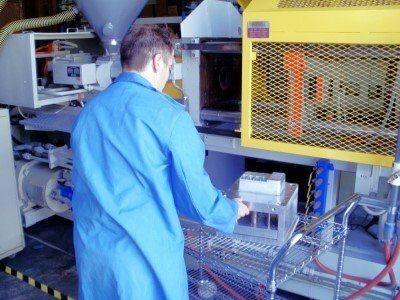 To support this vision we have set up a plastic injection molding operation with seven presses. 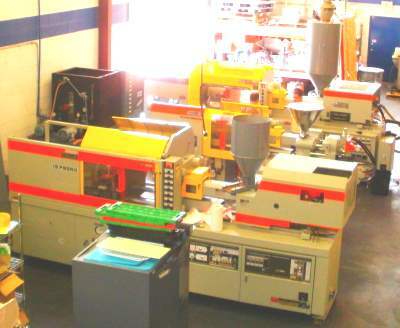 We offer boutique services for small runs and special plastics. We also offer large production services. We have experience with many resins, including ABS, Polyethylene Nylon, Delrin  and Polypropylene. We also specialize in TPE (theromoplastic elastomers) such as Kraton , which are a range of injectable soft plastics similar to silcone rubber. We have seven injection molding presses. Three horizontal Toshibas, one horizontal Boy, one vertical Morgan, and two vertical Boys. 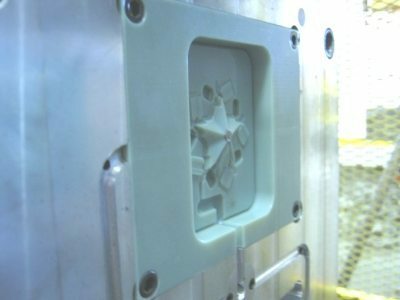 Our injection molding staff has many years of experience in many different types of injection molding including insert molding, cable and connector molding, and overmolding. This is our new Doosan mill cutting chips in nano-smoothing mode with the arbor running at 20,000 RPM. 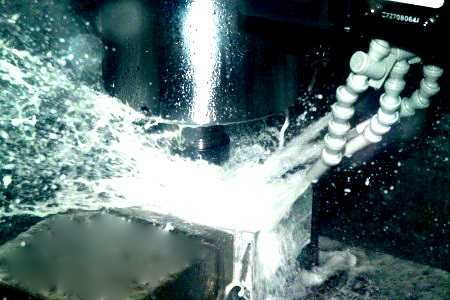 It is impossible to know if it actually cutting metal until the end of the run when the cooling jets turn off. 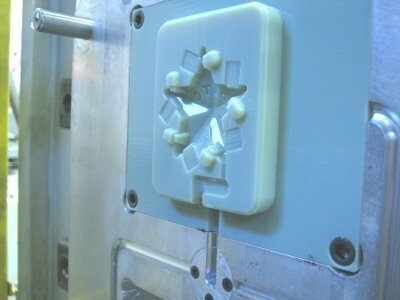 Make a small part mold for less than $800. 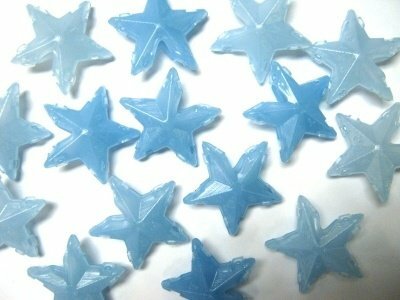 This part is a star that fits onto Christmas tree lights. Two identical pieces snap onto each other to form the star. The snaps are too fragile to be made with 3-D printing, but the molded parts work perfectly. We have made over 1000 parts with this mold in polyethelyne without any noticable degradation of the mold. Because of the low thermal conductivity of the SLA material it takes a minute cool-down between shots, so it isn't suitable for low-cost production. The parts show the stepped digitization of the SLA printing process, but adequately show that the parts work as designed, and has produced a fully functional part using injection molded polymer that cannot be 3-D printed. 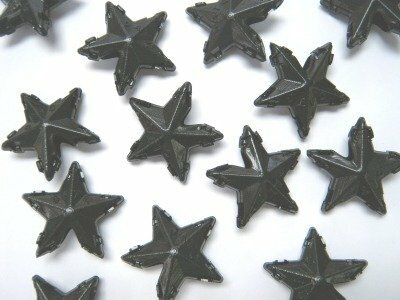 Black stars for stealth Christmas Tree lights. 3-D Printer, parts up to 12" x 16" x 10"